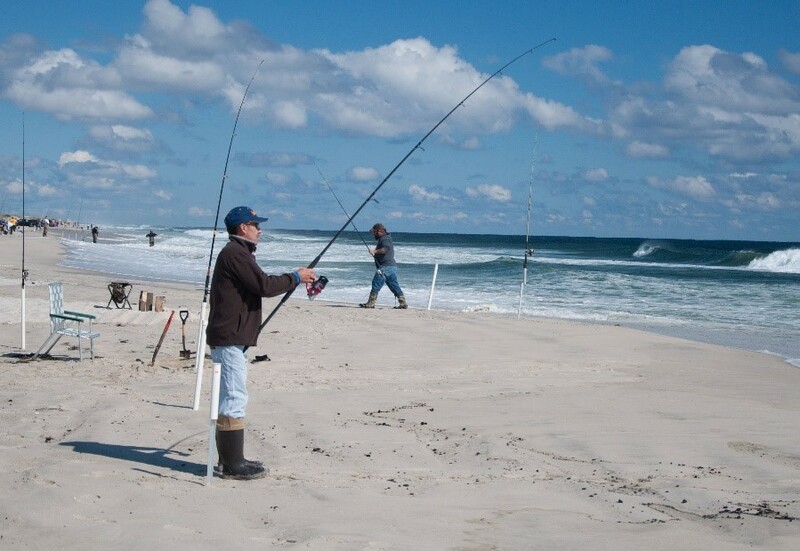 (18/P037) TRENTON – The 27th annual Governor’s Surf Fishing Tournament, a popular competition for anglers of all ages, will be held at Island Beach State Park in Ocean County on Sunday, May 20. The tournament offers participants an excellent opportunity to learn more about the sport of surf fishing while vying for the right to claim landing the largest fish of the day. Registration begins at 5 a.m. Fishing takes place from 6:30 a.m. to 1 p.m. The person who catches the longest fish will win the Governor’s Award. The winner’s name will be engraved on the Governor’s Cup, permanently displayed at Island Beach State Park. The winner will also receive a plaque as well as a fishing rod and reel. 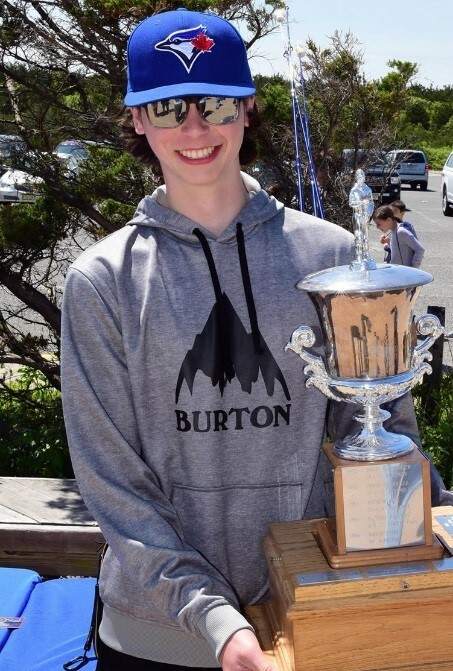 Last year’s Governor’s Cup winner was 16-year-old Kyle Brendel of Nutley (pictured below), who landed a 34-inch bluefish. High schools from across the state will participate alongside tournament anglers in the High School Team category. This category was added last year to encourage youth who are part of a formal fishing club, members of a Hooked on Fishing-Not On Drugs group, or an informal group to try surf fishing. The team that catches the longest fish will have its school name engraved on the High School Team Cup and receives a first-place plaque. Plaques will also be awarded to the second- and third-place winners. The Governor’s Surf Fishing Tournament is in its fifth year as a springtime event. All funds raised by the tournament will go toward improving beach access, constructing access ramps for disabled saltwater anglers, providing surf fishing instruction programs and equipment, and developing marine education and restoration projects. The registration fee the day of the tournament is $20 for anglers age 18 and older and $5 for ages 13 to 17. There is no fee for children age 12 and under. The tournament entry fee is waived for student teams. Park admission is free for registered participants. The Governor's Surf Fishing Tournament is sponsored by the DEP’s Division of Fish and Wildlife and Division of Parks and Forestry, as well as the New Jersey State Federation of Sportsmen's Clubs, the Jersey Coast Anglers Association, and the New Jersey Beach Buggy Association. Tournament anglers may be asked to verify that they have registered with the New Jersey Saltwater Recreational Registry Program, which helps the Division of Fish and Wildlife gather information to manage fishery resources. If not already registered for 2018, please do so before arriving at the beach the day of the tournament. Registration is free. Visit www.nj.gov/dep/saltwaterregistry/ and follow the instructions on the page.